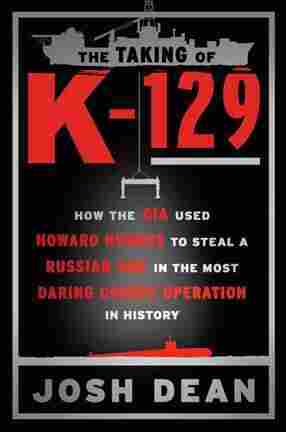 'The Taking Of K-129': How The CIA Stole A Sunken Soviet Sub Off The Ocean Floor Author Josh Dean describes how the CIA worked to secretly resurface a sub that the Soviet Union considered lost. Their cover story involved eccentric billionaire Howard Hughes. The Hughes Glomar Explorer was custom-built to secretly house a sunken Soviet submarine. In 1968 — the middle of the Cold War — the Soviet submarine K-129 disappeared, taking with it its 98-member crew, three nuclear ballistic missiles and a tempting treasure trove of Soviet secrets. Without the technology to retrieve it from the ocean floor, the Soviet Union left it there. It was considered lost — until the CIA stepped in. Josh Dean's new book, The Taking of K-129, tells the true story of Project Azorian, a secret CIA mission to lift the submarine from a depth of more than 3 miles into a custom-built ship called the Hughes Glomar Explorer. "There had been no salvage of a submarine below 1,000 feet at that point," Dean says. " ... [It's] probably the greatest feat of naval engineering. And on top of that, you had to do it in secret because it's not like a giant ship parked in the middle of the Pacific — where giant ships aren't normally parked — isn't going to arouse suspicion." It was kind of a problem. They were like, "Well, if we're going to do it, we're going to have to build this ship. But then how do we explain to people, especially the Soviets, why we're going to have a ship out in the middle of the ocean?" Like, that's just going to seem strange. So someone came up with the notion of: "Well, ocean mining is a thing ... So the CIA original task force decided, "Well, what if we pretended that we were ocean mining? We'll tell people that this is a mining ship and we are going to be the first people to mine the ocean." But there's another part of that, which is, we can't be doing it, the U.S. government can't do it — that would obviously be a lie. We need somebody who would plausibly be mining the ocean, spending a lot of money despite all logic saying this is a feasible, economic thing. Who could that be? What about Howard Hughes, the guy who built a wooden airplane that didn't fly? Hughes, at that time, [was] probably the most famous business man in America. ... [He] came up in a mining family, so actually that's one reason this made plausible sense. ... He was a pilot, he made movies, and by 1968 he was just gigantically famous, but also living on the top floor of the Desert Inn Hotel in Las Vegas hopped up on pills, and he became a shut-in. But to the public, still, he had these companies, he had a lot of money, he had [a] proven track record of doing bananas things that didn't make sense. 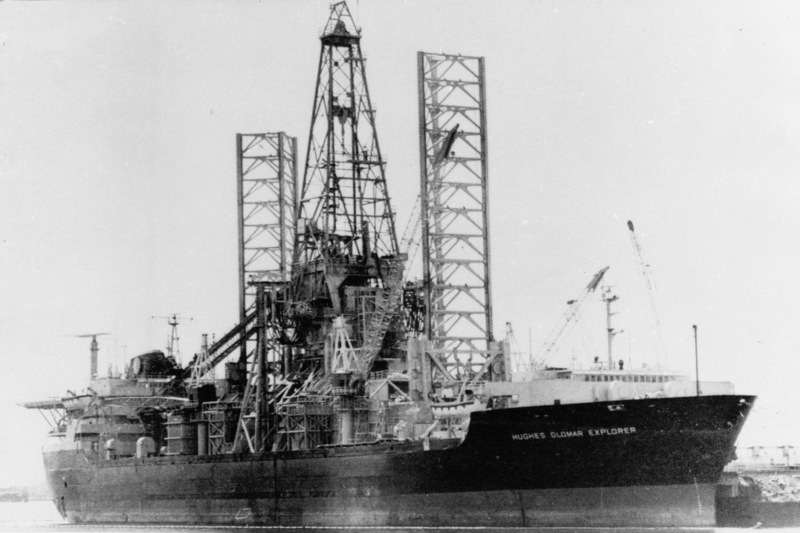 On how the mission's exposure in 1975 led to the popularization of the phrase "neither confirm nor deny"
Because the ship was called the Hughes Glomar Explorer, the Glomar exemption was the phrase "can neither confirm nor deny," which was a CIA legal answer to the problem of [Freedom of Information Act] requests. Denying it on national security grounds would admit that they had built the ship and that its existence was real; confirming it, they obviously couldn't do. But they also couldn't deny it, so a lawyer at the CIA said, "Well, how about we neither confirm nor deny?" And that actually stood up in court. It was challenged by a Rolling Stone reporter and the ACLU, I believe, and it held up in court. And now we all deal with that phrase on a daily basis. Marc Rivers and Jennifer Liberto produced and edited this interview for broadcast, and Sydnee Monday and Nicole Cohen adapted it for the Web.